One of the benefits of becoming an LPN is that the program only takes 12- to 18- months to complete, and there are accredited LPN programs offered in local, affordable technical schools, hospitals, and community colleges. LPN programs are comprised of science and nursing-specific courses such as pharmacology and biology, and also include supervised clinical experience. LPN programs also prepare you to pass the state certification exam, which is required before you can start work as an LPN. In Delaware, there are approximately 1,930 working LPNs, earning salaries that are typically between $40,950 and $55,200 per year. In Wilmington alone, where the pay is slightly higher than the state average, there are approximately 1,380 LPNs, earning salaries around $43,370 at the lower end, $50,450 in the middle, and $56,570 per year at the higher end of the pay scale. 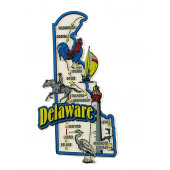 There are many large employers for LPNs in Delaware, including Kent General Hospital, Saint Francis Hospital, Christiana Hospital, Nanticoke Memorial Hospital, and Milford Memorial Hospital. If you’re interested in getting started with your career as a licensed practical nurse (LPN), take some time to peruse the below list of Delaware community colleges and vocational schools that offer LPN programs.